This shoe sachet tutorial is perfect timing because my oldest’s work shoes are in dire need of some… the fact that there’s a Sasquatch on it is bonus. It takes just two pieces to make this tulip dress. It seems to whip up so fast that you might be able to make it in time for a NYE party! Not only is this fabric tick-tack-toe board portable (it comes with it’s own carrying case), but it’s reusable for lots of gameplay! If you’re lucky enough to have it still be sunny where you are, then you’ll probably want to make a sun glass case to store your sunnies. Don’t need a glass case? Try this smaller purse phone pouch instead. Transform cute socks into an even cuter clasp pouch. Not only will this tutorial teach you how to upcycle a sweater into a pair of boot socks, but will show you how to make a matching cowl as well! Laundry is my nemesis. Maybe if I make a few of these extra large laundry baskets, I may be able to put off doing it for a few extra days. If you’re feeling overwhelmed by the contents in your purse, be sure to check out this handy bag organizer. These fold up tote is perfect for storing in the car or gift giving this holiday. Christmas may be over, but it’s never too late to make a few ornaments for next year. These felt ice skates are perfect for next year’s tree or try it as a package decoration. Does your little one need new gear for the cold? Whip up an adorable slouchy beanie using recycled shirt or sweater. A fun way to change up the decorations in your home: Quilted & Piped Letters. This one is even no-sew. Do you knit or know someone who does? This ultimate knitters tote looks like a definite ‘must-have’. This entry was posted in Uncategorized on December 31, 2015 by stacy. I am happy to say that as I enter 2016, I will not have any UFOs (un-finished objects)…. well, except one (alright two, but I plan on getting in the sewing room to finish that up tomorrow)…. Simplicity 1070. 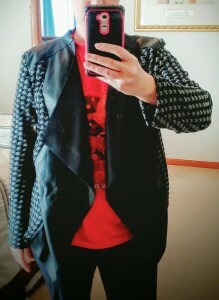 While I love the premise of this jacket and I adore the material, I just don’t love it on me. You see it screams “Hello, ’80s” when I put this on…. all I need is a bottle of Aquanet and really big hair to pull this look off. If you can look past the horrible mirror selfie (all my photographers were gone), you can see that it is very oversized and the fabric (as much as I love it) make this jacket look dated (thinking back on it, I am pretty sure I had a boyfriend style jacket in a similar print when I was in middle school). Consequently, I think this project may have to be scrapped. Well, at least I’m starting off the new year with a clean slate! This entry was posted in Uncategorized on December 29, 2015 by stacy. I hope everyone had a wonderful holiday! Around here there was lots of cooking\eating, game playing, and merriment…… although no sewing. I did, however, finally get to open my Girl Charlee December Knitfix (that has been sitting under the tree for over a week)! Inside my bag (which is adorable, unfortunately, I cut a hole into it when I opened my package) was: brown coral Navajo on beige, black white big abstract lines (chevron), black stained glass jersey, Turq red festive emblems, white floral baroque paisley, blue black animal stripe. Overall, not too bad of a bag.The Navajo print is probably my least favorite (the design and the colors aren’t what I usually work with), but if I can find the right coordinates, I think I can make a cute outfit. Out of all of them, the baroque (bottom center) is my favorite, but I still am unsure how I might use it…. chances are I’m just going to horde it for awhile. I think I might sneak away and stare at them all and see what pops into my head for patterns (I have quite a few new ones in cue, but just not enough time to get to them)… worst case scenario: I wind up with a few new scarves soon! What has everyone else been working on over the break? This entry was posted in Uncategorized on December 28, 2015 by stacy. Remember earlier in the month when I did a bit of (ceramic) painting? Well, my pieces were finally fired and ready to bring home. While the tree looks pretty “traditional” (meh), I absolutely adore the base where I used a very cool ‘swirl’ technique (using shaving cream and paint). If I would have tried this sooner in my paint job, I think I would have done my entire tree this way. I also tried the same technique on the ornament in some Christmas themed colors… I think I prefer the bold colors of the base instead. When I brought it home, Easton helped me load it up with lights and we plugged it in – what a beautiful glow! In other news, I have an abundance of fabric to unwrap for the holidays. There is a December Girl Charlee Knifix under the tree (I did a good job not unwrapping the contents, but will admit I peeked a little to see what was inside) and I have a fun HarleyQuinn\Joker themed knit and panel (a pre-order from KNITorious Fabric) arriving in the mail tomorrow (plus I ordered some bag hardware from Emmaline Bags so I’m set when the Bag of the Month Club starts). This entry was posted in Uncategorized on December 23, 2015 by stacy. Since last week’s last minute gift sewing went so well, I decided I need to make at least one more scarf. 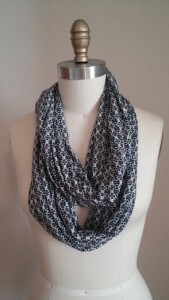 This time around I used a a pretty, knit print that I got from Elliott Berman Textiles ages ago. 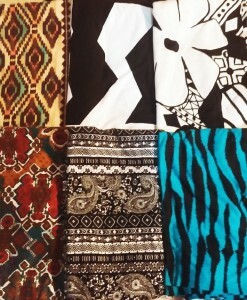 While I adore the print, the down side to using this fabric is that I only had one yard. So, after squaring up the material, I cut it in half and pieced it together to get the dimensions I needed. Fortunately the print is so busy that you can’t see the seam very well! 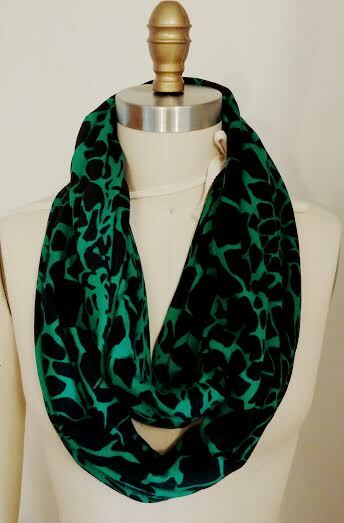 This one will be for my mom – who didn’t want an infinity scarf until she noticed everyone wearing them last week. This entry was posted in Uncategorized on December 22, 2015 by stacy. Easton’s Christmas party was Friday and one of the games we played was “Pin the Tail on Rudolph”. 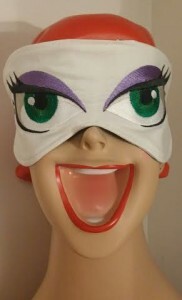 I tried this game last year and found that the blindfold (a bandanna) we used still let the kids ‘see’ where the nose was – especially if they cocked their head just right. So, this year I had a plan…. make better blindfolds! I wound up using my Sleep Mask pattern as the basis for this project, but then decided (last minute) to make it more fun by adding some eyes to the outside of the mask (I selected “Flirty Eyes” from Urban Threads). I love the way it turned out, but Easton declared he wasn’t going to wear it because it was too girly…. so I wound up making a second blindfold in a holiday themed print – good thing these masks whip up so quickly (about 30 minutes)! This entry was posted in Uncategorized on December 21, 2015 by stacy. Yesterday, before I went up to Easton’s school for his Christmas party, I decided to make a few last minute gifts for some of his ‘specials teachers’ (e.g. music). I had seen someone talking about making Infinity Scarves and thought that this would make a great present – so I found the dimensions that I needed to cut my fabric, grabbed the Green Botanical Spots fabric from my September KnitFix, and went to work. In 30 minutes (cutting time included) I had two great gifts, plus I found a use for the material I was still scratching my head over! Why didn’t I ever do this before? 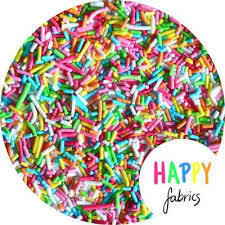 I may sift through my fabric stash today and make a few more…. for myself! This entry was posted in Uncategorized on December 18, 2015 by stacy. Just in case you missed yesterday’s post: My latest (free) project for WeAllSew is live! 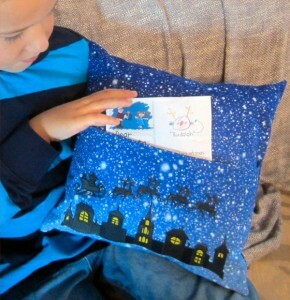 Stitch up a Letters to Santa Pillow for your family this year. While you’re at it, be sure to enter to win a Bernina’s Beauty Kit located at the bottom of the post (plus there’s 16 other day’s of free projects and prizes to be won on their website)! Holiday party coming up? Bring your hostess a beverage in this pretty wine tote. Furry friends get cold too. Stitch them up a fleece dog sweater for the winter weather. Learn how to make a little reader library tote and enter tow in a copy of On The Go Bags. New Christmas pajamas aren’t just for kids. This silky pj set for women would make a perfect selfish-sewing gift. There’s still plenty of time for gift sewing. This Flat House would make little doll lover happy this holiday. Bring a bit of winter into your kitchen with this fun snowman hot pad. Dressing up for the holidays? Make your little boy\tween a new bow tie…. and don’t forget the men! Or turn two old ties into one great reversible tie! Looking for a great gift for guys this holiday? Check out this travel shaving kit pattern. A great way to use up scraps and perfect little gifts for everyone: Holiday Tissue Holders! Get ready for spring decorating by making a few hydrangea pillows. Pretty coin purses make great stocking stuffers – especially his metallic thread gem pouch. Have a Minecraft fan in your home? Make a few of these Minecraft Plush to stash in a stocking. These mouse slippers are so cute, I wish they came in my size. Cold air has finally made it’s way here. Stitch up a pair of cozy (double layer) fleece mittens to keep little hands warm. Make you your own Elf of the Shelf with this free plush pattern. This entry was posted in Uncategorized on December 17, 2015 by stacy. Way back in September, I picked up the newly released, Hyde Park Hoodie. 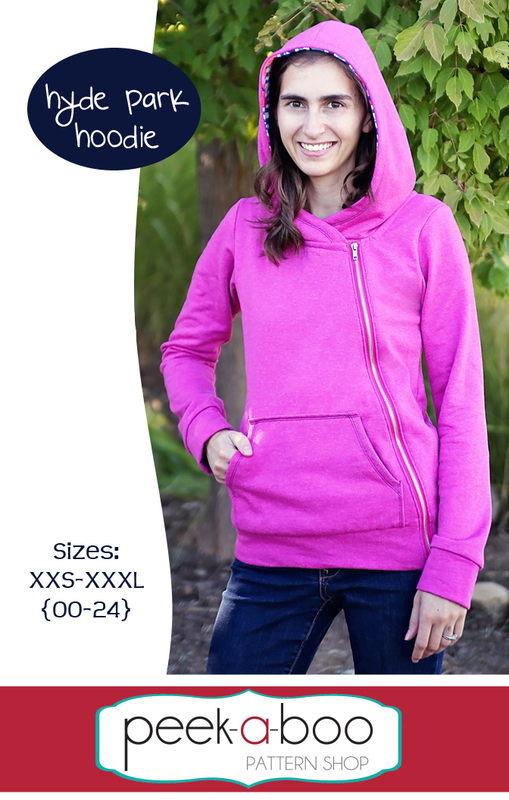 While I have a bazillion jackets and jacket patterns, I couldn’t resist this one because I loved the look of the the asymmetrical zipper. The problem? Finding ‘hoodie’ fabrics in a color I liked and that had enough stretch. Consequently, I’ve been sitting on this pattern for months. Fast forward to last week when I decided that I really needed a car\road panel to make a gift for my nephew…. 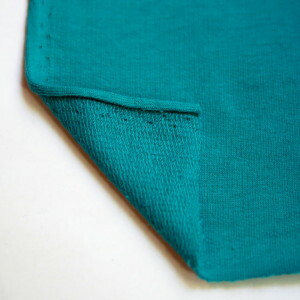 while I was shopping, I decided I would go ahead and throw in a couple of yards of Jade French Terry as well (the color is much more vivid than the photo below). Now that my material has arrived, I realized that I’ve never used this color before so finding a lining has been difficult…. that is until I discovered Sprinkles fabric stashed in my closet – there’s even a jimmy that matches the jade material perfectly! Now that the material has been picked, I think I’m ready to finally get started on this project! This entry was posted in Uncategorized on December 16, 2015 by stacy. Looking for a holiday decor project that is quick to sew, looks great, and is something the kids can enjoy too? Then be sure to stop by WeAllSew today and check out my latest project, the Letters to Santa Pillow (and while you’re there make sure you leave a comment to be eligible to win today’s prize: a BERNINA Beauty Set)! This 12″ decor pillow features a front pocket (I used Embroidery Library’s Christmas Flight Silhouette Scene to embellish this area, but you could substitute with your favorite fabric or embroidery design). This pocket can be used to stash your child’s letter to Santa, as storage for ‘elf on the shelf’ pranks\surprises, or as a stand-alone accent pillow. It’s something everyone can enjoy! Plus it’s a handy slipcover format so you can easily swap out your cover when this holiday season is over. This entry was posted in Uncategorized on December 15, 2015 by stacy.